Last week, Pakistan said it had offered to arrange a meeting between 46-year-old Jadhav and his wife, months after India had requested it to grant a visa to his mother on humanitarian grounds. ISLAMABAD: NEW DELHI: PM Narendra Modi had taken everyone by surprise in December 2015 when he “dropped by” in Lahore to greet then Pakistani prime minister Nawaz Sharif. Pakistan had offered to permit Jadhav’s wife to meet him last week and India responded by saying that the navy officer’s mother would like to meet him too. They would be accompanied by an Indian diplomat from the High Commission in Islamabad. New Delhi has said the meeting may be arranged after a guarantee that none of them would be detained, questioned or interrogated during the visit. In a note verbale to New Delhi last week, Islamabad said Jadhav’s wife would be allowed to meet him on “humanitarian grounds”. “We are now awaiting their response to our response,” the spokesperson said. Foreign Office (FO) sources here said India in response has again asked Pakistan to issue a visa to Jadhav's mother so she can also visit her detained son. FO spokesman Mohammad Faisal confirmed that India has responded to Pakistan's offer. "Indian reply to Pakistan's humanitarian offer for Commander Jadhav received & is being considered," he tweeted. 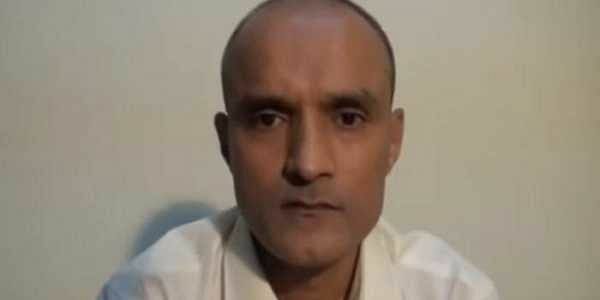 Jadhav, a former Indian Navy officer, was sentenced to death by a Pakistani military court in April on charges of espionage and terrorism. The International Court of Justice (ICJ) in May halted his execution on India's appeal. Some media reports have linked Pakistan's latest offer to quiet efforts by the US. Pakistan, however, insisted that its offer was made purely on humanitarian grounds. Pakistan claims its security forces arrested him from restive Balochistan province on March 3 last year after he reportedly entered the country from Iran. However, India maintains that Jadhav was kidnapped from Iran where he had business interests after retiring from the Indian Navy.